His name is Timothy Brown, a.k.a. “the Berlin Patient,” and scientists confirmed in 2010 that he has indeed been cured. Although his situation is unique and complex (read our glossary on cure terminology here), he may no longer be the only person cured of the virus. In July during the XIX International AIDS Conference (AIDS 2012) in Washington, DC, scientists hinted at an additional two possible cases, though it’s too early to know for sure. Also at AIDS 2012, researchers revealed data on 14 people with HIV who were treated with antiretroviral therapy early in their infection and have now achieved “viral controller” status—they appear able to control the virus without remaining on meds. Findings like this may provide a path to what’s called a “functional” cure, when the virus still lives inside the body, but it does little or no harm; this compares with a “sterilizing” cure, when the virus is eradicated from the body. Researchers are exploring paths to both types of cures, along with an array of vaccines, biomedical preventions and other solutions. As the science rapidly evolves, so does our understanding of what the end of AIDS would look like and how we would go about erasing the virus off the planet. Never before has that goal seemed more attainable. As Secretary of State Hillary Clinton declared last year and President Barack Obama has reaffirmed, we can achieve an AIDS-free generation. The question for world leaders is no longer can we, but will we. 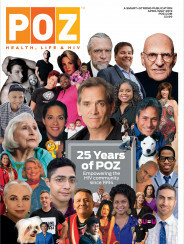 To honor that goal, the 2012 POZ 100 recognizes people who have made a significant contribution to speeding up the end of AIDS. We round up the Seekers and Hunters, those scientists who make the groundbreaking discoveries that inch us closer to a cure. We also include the Defenders, those researchers who explore ways to prevent others from getting HIV (think: vaccines and pre-exposure prophylaxis). 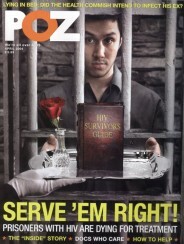 And we salute the Soldiers, those advocates, politicians and celebrities on the front lines in the fight to end AIDS. No list is ever complete, but the people compiled here are representative of the multitudes seeking to stop the pandemic. They have hope for a future without HIV, and so do we.